Still, his favorite collab on the album is with Snoop on “Rolling.” K Camp says that collaboration meant so much to him because he respects West Coast hip-hop music in general. 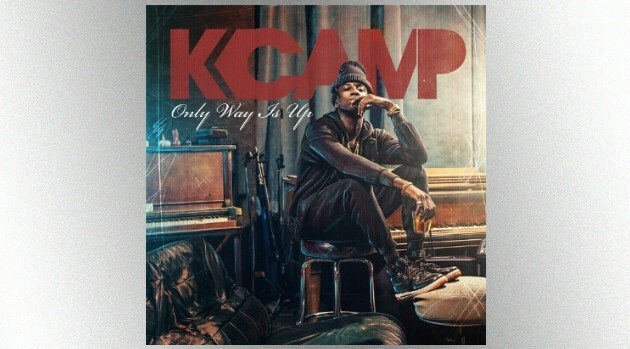 K Camp points to West Coast artists such as YG and Ty Dolla Sign who are continuing that legacy. “I f*** with them,” he adds for emphasis. When music lovers listen to Camp’s debut album, he says he wants them to get a better sense of who he is. Only Way Is Up, also featuring collaborations with Jeremih, T.I., Yo Gotti, Fetty Wap, and CyHi The Prynce, is out Friday.